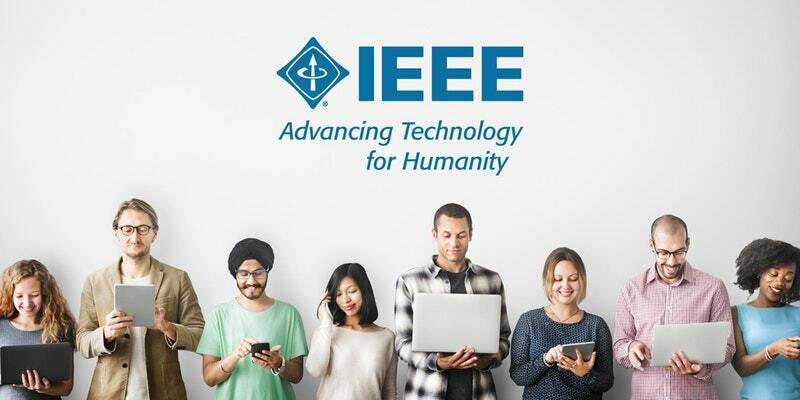 IEEE is the world’s largest technical professional organization for the advancement of technology. IEEE Xplore is a digital library providing access to the world’s highest quality technical literature in electrical engineering, computer science, electronics, and related disciplines. IEEE Xplore contains full-text documents from IEEE journals, magazines, conference proceedings, and standards, in addition to eBooks and educational courses – it contains more than 30% of the world’s technical literature. 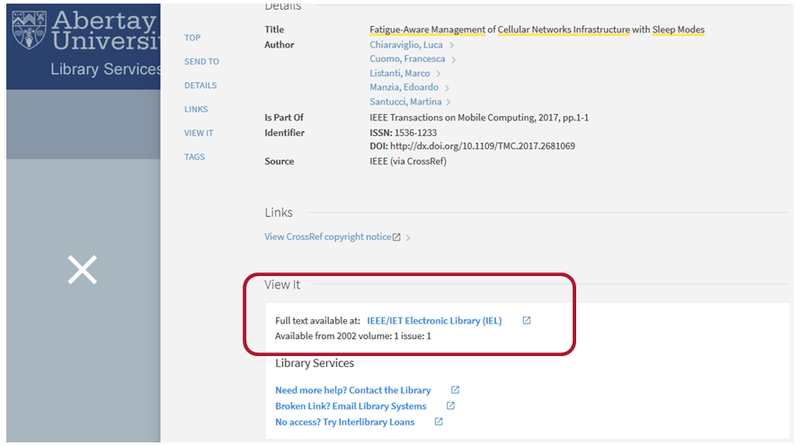 You have access to IEEE via the Library subscription – use this authenticated link to ensure you can view all the full-text content. Library Services are very excited to welcome Julia Stockdale of Content Online, UK representatives for IEEE to Abertay on Friday 8th December for an IEEE awareness day. In the afternoon we’ll be in the Graduate School Seminar Room (3514.1) for a practical publishing with IEEE workshop. The workshop will run between 14:00-15:00 and can be booked via Eventbrite – places are limited! This practical workshop, aimed at new and early career researchers and postgrads in engineering, computing, and technology related areas, will provide an overview of publishing with the IEEE. And finally, we’ll round the day off with an informal session aimed at academics also in Room 3514.1 of the Graduate School. Here, we’ll look at search strategies, new features of IEEE Xplore, and keeping up-to-date. 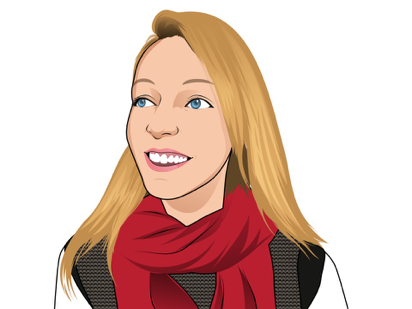 Come along and meet Julia to find out all about getting the most out of IEEE. You will remember that we had trial access to this resource at the start of 2017 and we asked for your feedback. As a result of that trial process, a lot of hard work and negotiations we have now been able to reinstate online access! IEEE Xplore is a digital library providing access to the world’s highest quality technical literature in electrical engineering, computer science, electronics and related disciplines. IEEE Xplore contains full-text documents from IEEE journals, magazines, conference proceedings, standards, eBooks and educational courses. What content does IEEE Xplore contain? IEEE Xplore provides online access to more than 4 million full-text documents from some of the world’s most highly cited publications in electrical engineering, computer science and electronics. It contains more than 30% of the world’s technical literature. Where can I access IEEE/IET Electronic Library? These are all part of the IEEE/IET Electronic Library (IEL) and will link out to the IEEE Xplore platform. Where can I get help with IEEE? We’re very glad to see this resource back – as always, we’d love to hear your feedback. Please drop us an email or leave a comment below. The New LibrarySearch is Here! 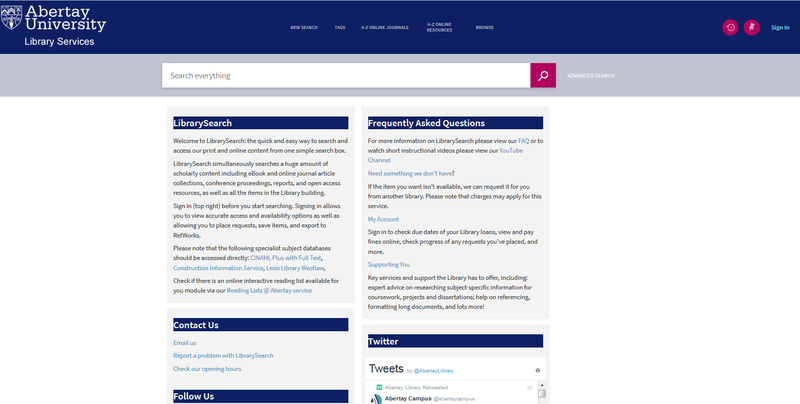 LibrarySearch has had a facelift over the summer – as well as a streamlined new user interface, it has some nifty new functionality too. 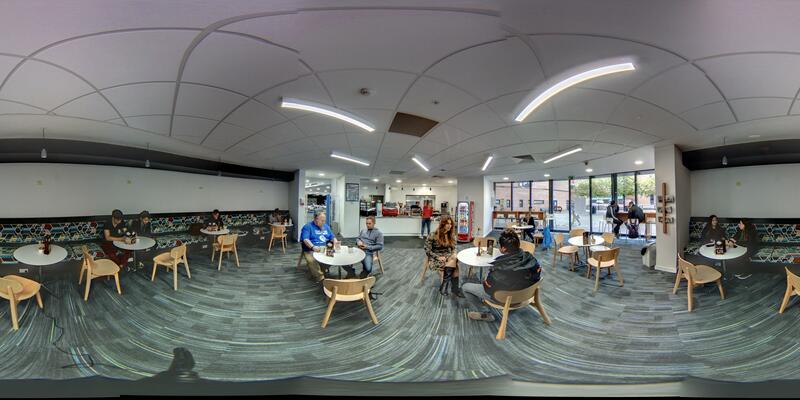 We carried out extensive user testing earlier in the year and many of the changes we made to the look and feel are the direct result of the feedback you gave us! LibrarySearch is our academic search engine; like Google but for scholarly and academic materials! It is the quick and easy way to search and access our print collections and most of our online content from one simple search box. 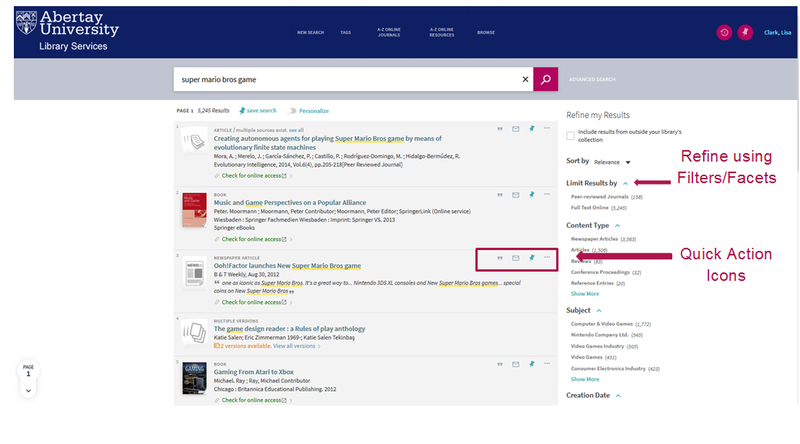 Streamlined user interface – LibrarySearch has a new UI which is less cluttered and easier to use. It is fully mobile optimised too so can be viewed on any phone or tablet. Brief results display – all material types are included in the results list and are clearly marked e.g. Book, Article, Conference Proceeding, Newspaper Article etc. Where there are multiple versions of a title available you’ll see a single item in the results list but it will clearly indicate that multiple versions exist. You’ll also see quick action icons in the results list allowing you to save items for later, export into RefWorks, email results etc. right from the brief record in the results list! Filters – the filters are now on the right hand side of the screen and are minimised to display more categories. Click ‘show more’ to view the full list of filters under a section. Improved include and exclude options – if you wish to include any filter such as ‘Full text online’, a specific content type or subject area, just hover over it and tick the check box to the left of it. To exclude something e.g. if you don’t want any newspaper articles or book reviews to be included in the results list, hover over the filter and click the red check box to the right of it. Once you’ve finished click the ‘Apply Filters’ button – you can now add as many filters are you like. ‘Sticky facets’ – this means that once you’ve added your filters to a search they’ll remain until you click the ‘Reset Filters’ button. Multiple tabs removed and replaced with the Details screen – the tabs from the results list have gone giving a much more streamlined view. Clicking on the title or links in the brief record from the results list will take you into the item Details screen. From here you can scroll up and down to see all information about the title including Get it (print) and View it (online) details and links, plus send to options for exporting and emailing etc. You can also place requests on unavailable items from the Details screen. Endless scrolling – the results list no longer contains pages, simply keep scrolling down to load more results. Saved items & My Favourites – you now click the pin icon in the results list to save items for later (you must be signed in to do this) My Favourites is now split into saved items, saved searches, and search history and is organised by labels rather than by folders. Tags – there is now a tags link on the top menu bar. 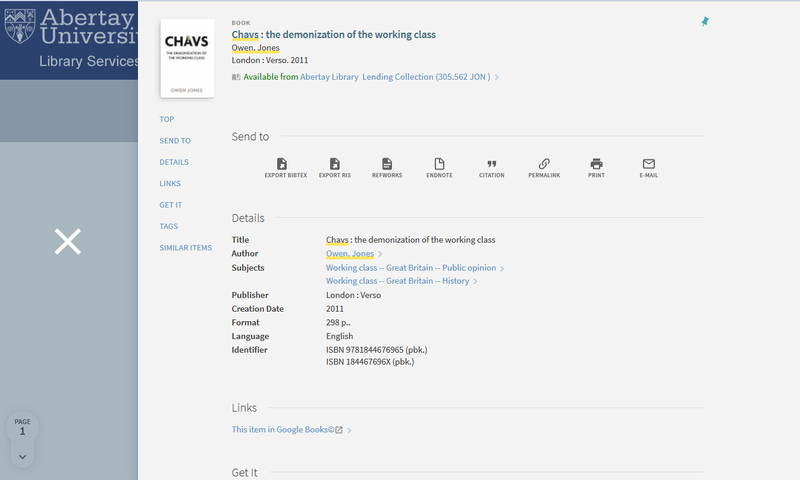 Tags allows users to categorise items (books, journal articles etc.) into lists which are then indexed and shared with other users on the new tags page. You can search for tags and add your own on the Details screen of an item. You could add tags such as module codes, tutor name, additional keywords or coursework titles. Automated query expansion – LibrarySearch will give you a helping hand with some of your search terms. For example, if you searched for ‘heart attack symptoms’ LibrarySearch will automatically include ‘myocardial infarction’ and include both in the results list. Where can I find LibrarySearch? LibrarySearch is everywhere! 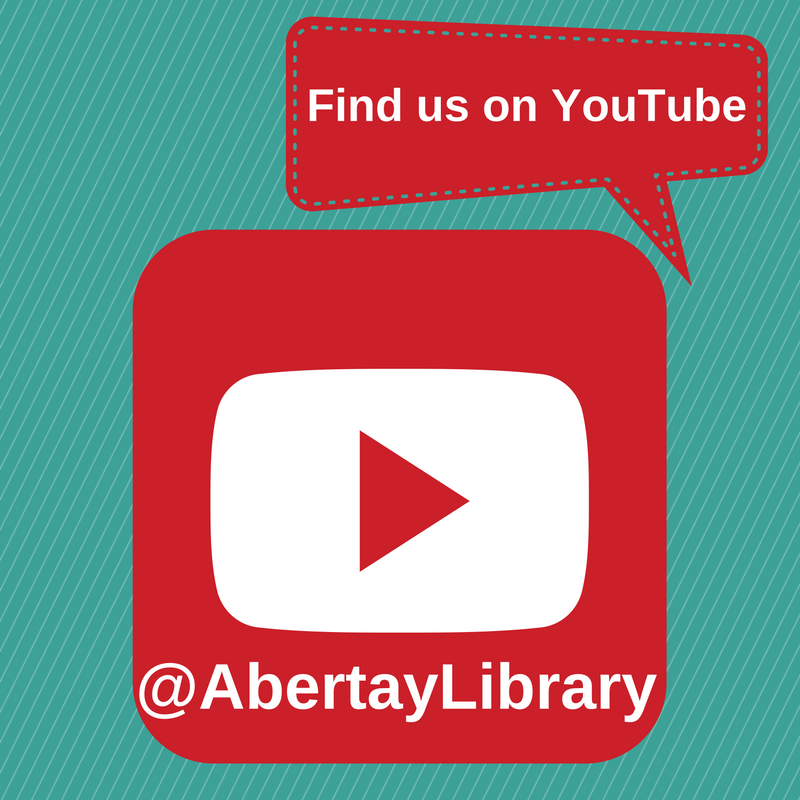 The direct URL is http://librarysearch.abertay.ac.uk – bookmark this! There are LibrarySearch search boxes on the Library website and in the Study Support section of Blackboard. 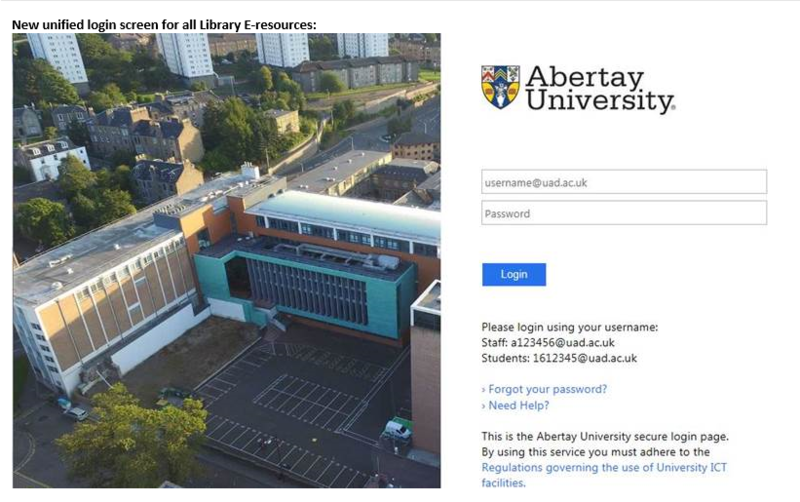 There’s also a LibrarySearch tile on My Abertay – when you click through from here, you don’t need to sign in again at the top right as you’re already authenticated. Where can I get help with LibrarySearch? 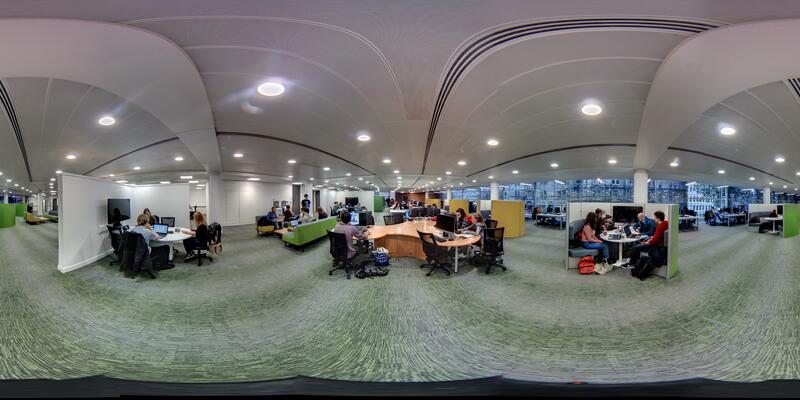 Come along to a Library & IT Drop-in Session for one-to-one help with LibrarySearch – they’re held in the Training Suite, Level 2 of the Library every Tuesday 11-12, Wednesday 12-1, and Thursday 3-4. There will continue to be new features rolled out over the next few months. We’ll update you as and when they happen. We’re particularly excited about the Database A-Z service which should be ready in November. Stay tuned! Change from Abertay to Cite Them Right Harvard Referencing Style – Important Announcement! From September 4th 2017 the Cite them Right version of Harvard will become the standard referencing style for all Abertay University taught modules which previously used Abertay Harvard – as endorsed by the University’s Teaching and Learning Committee. This will mean some minor changes to how you reference your sources (e.g. the use of brackets around the date of publication). The Abertay Harvard style was very specific to Abertay. 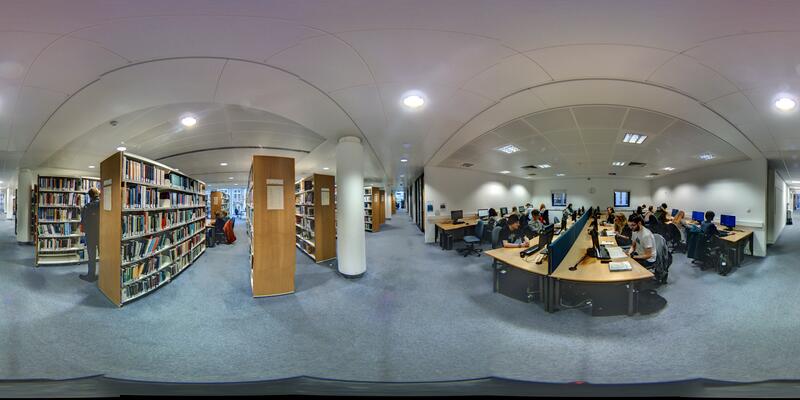 Lots of students are using free referencing tools such as Mendeley, Zotero, Easybib and RefMe. Abertay Harvard was not available as a style to use with these tools. Cite them Right Harvard is widely used across higher education and is available as a style via all these tools, making them more usable for everyone. Where can I get a guide for the new style? The library has produced a short guide which is available to pick up in the Library or view online This covers most of the main reference types you are likely to use – books, journal articles, websites etc. There is also a more comprehensive Cite Them Right book. Several copies are available to borrow from the Library and shelved at call number 808.027 PEA. The subject I’m studying doesn’t use Harvard style, does this change affect me? No, students on Law modules should continue to use OSCOLA and those on Psychology modules should continue using APA. These will not be changing. Many of the tools mentioned above have APA and OSCOLA available as output styles. If you are not sure what referencing style to use, check your course documents or check with your module leader in advance of submitting any assessed work. I use RefWorks, do I need to change my preferred output style? If you use RefWorks, click on Customize and you will see the Cite Them Right Harvard output style as an option, select it and saved it to your customized settings. You will also need to go to Bibliography> Output Style Manager and add Cite Them Right Harvard to your list of favourites. 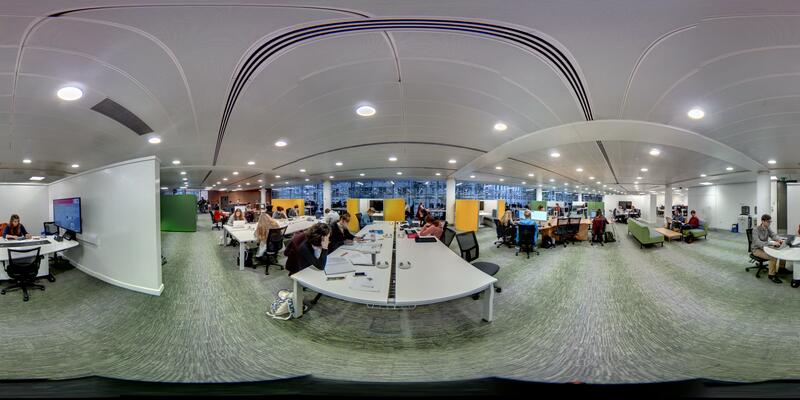 If you need help with Referencing or RefWorks, come along to one of our drop-in sessions in the Library (Training Suite on Level 2), Tuesdays 11-12, Wednesdays 12-1, Thursdays 3-4pm. 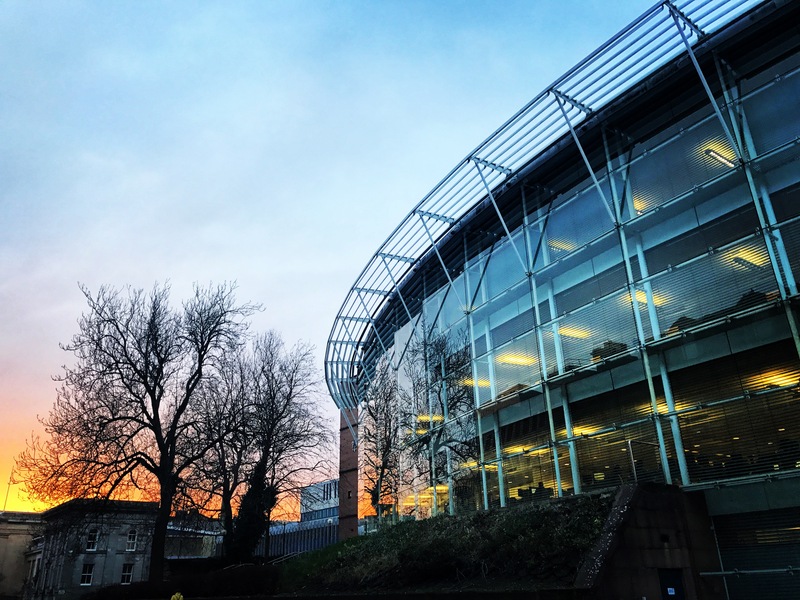 Just a quick post to remind everyone that help is still available during the summer whilst the Library building is closed for refurbishment. The Library Services Team are alert and ready to answer your queries! 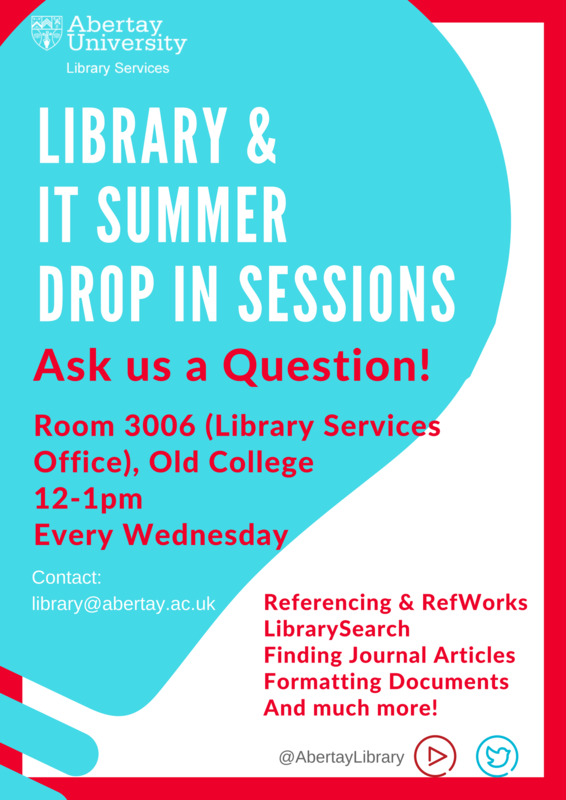 If you can’t make it to a drop-in session you can email library@abertay.ac.uk or visit SEZ at their temporary summer location in the Student Centre (next to Aroma) and they will give us a call. 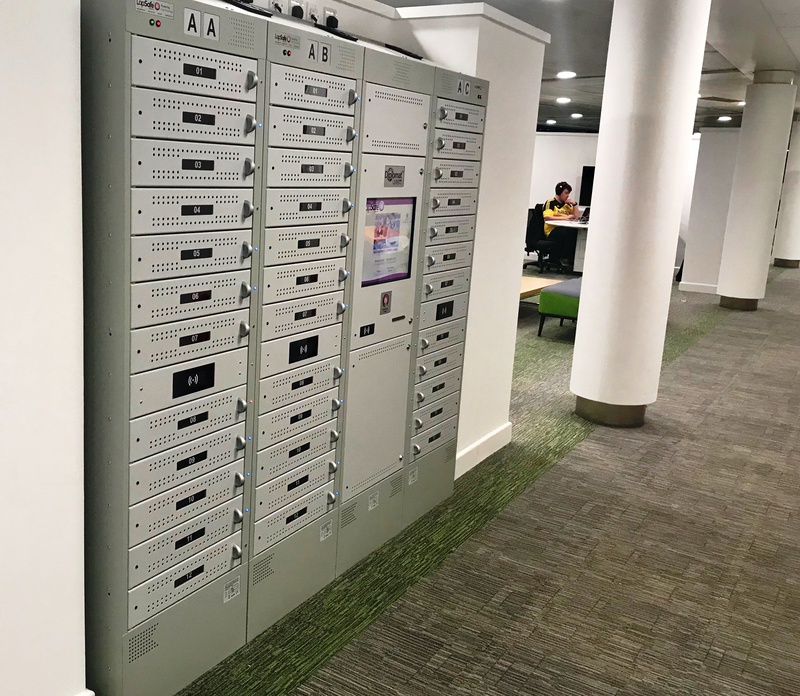 You can still borrow books during the Library building refurbishment too. Just check LibrarySearch for availability of the item(s) you wish to borrow then take a note of: author, title, edition, collection and class number. Then, give the details to SEZ either in person or via email and you can pick up your items from their temporary desk in the Student Centre. 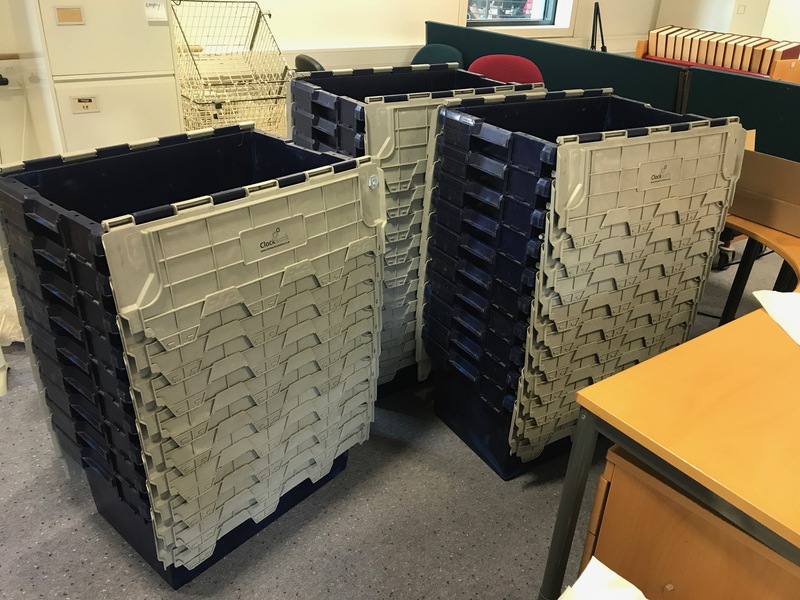 You’ll need to allow time for the items to be collected and bear in mind that sometimes access to the Library building may be restricted. Items requested in the morning will be available for collection in the afternoon of the same day after 2pm. Items requested in the afternoon will be available for collection the following day from 10am. And also remember that if the item you wish to borrow is currently out on loan, you’ll need to place a request and wait for it to become available.